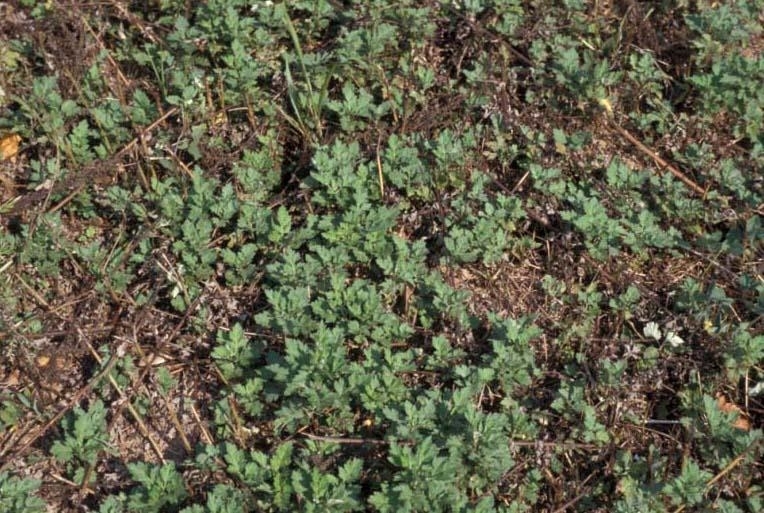 Perennial weed with persistent rhizomes that may be spread or transported by cultivation equipment, or also in burlaped nursery stock infested with rhizomes. Found throughout the eastern United States. Viable seed are rarely produced in North America. 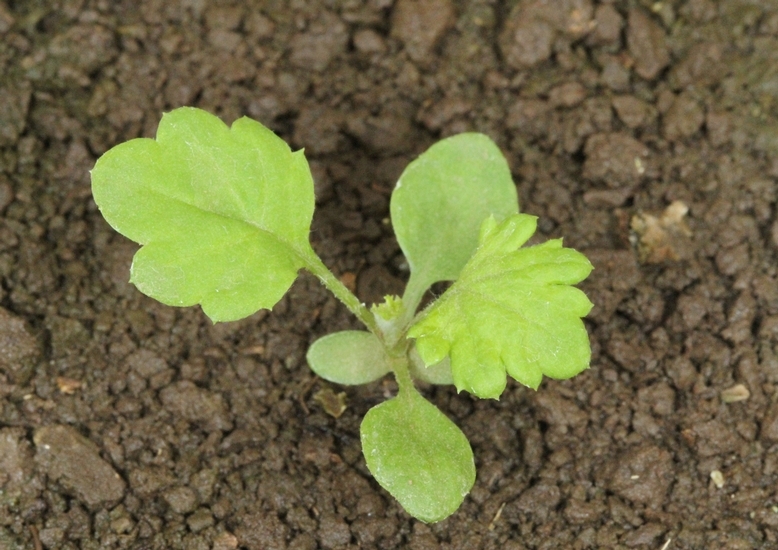 Cotyledons egg-shaped, without petioles. 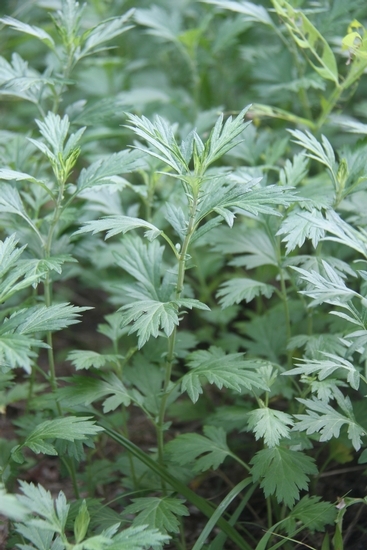 Leaves are 2-4 inches long, 1-3 inches wide, simple, alternate, deeply lobed, and have a distinctive aroma. 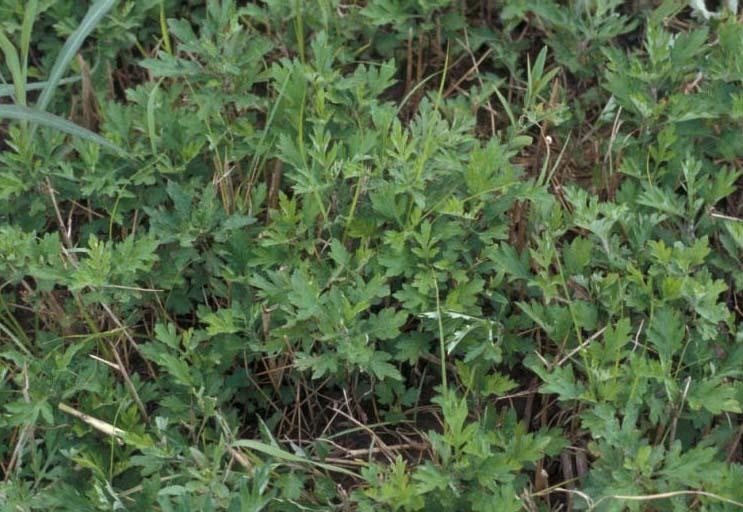 Leaves on the upper portions of the plant are more deeply lobed and may lack petioles. Leaf undersides are covered with soft, white to gray hairs, while upper leaf surfaces may be smooth to slightly hairy. May reach 5 ft in height, often reddish-brown in color, and become woody with age. 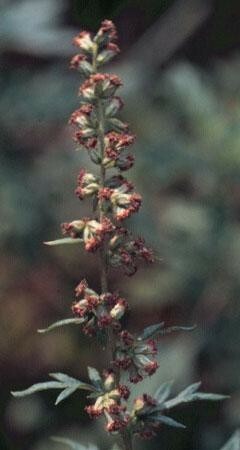 Inconspicuous and occur in clusters at the top of the plants. Individual heads are 2.5-3 mm wide and on short stalks. An achene that encloses the seed. However, viable seeds are rarely produced in North America. 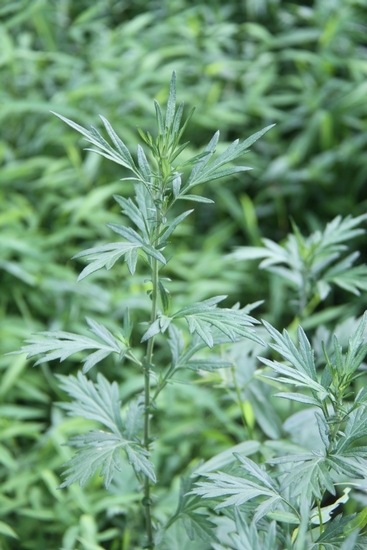 Mugwort is similar in appearance to the garden chrysanthemum commonly grown in flowerbeds and landscapes. 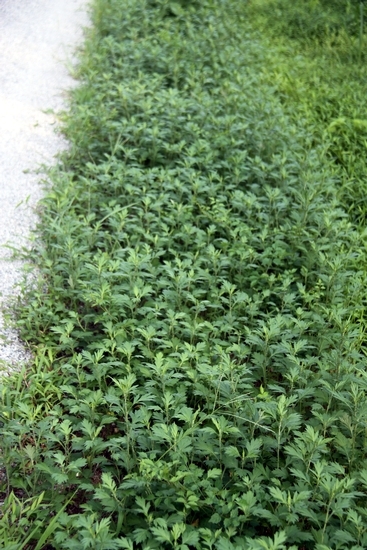 Common Ragweed (Ambrosia artemisiifolia) seedlings are similar to mugwort, but have more deeply dissected leaves and lack the distinctive aroma typical of mugwort.